Is there anything these oils can’t do!? Body moisturiser, intensive hair treatment, cuticle oil, face serum… It’s incredible just how versatile these products are. They come in a whole range of scents to suit your mood or style. I have three bottles in Orange, Pink Grapefruit and Chocolate and I use them for all sorts of things! This video from The Body Shop website explains in much better detail the ways that you can use them. Now the question is: How do you use yours? You can pick up the Beautifying Oils from The Body Shop for £9 each for 100ml. If you have followed me from the beginning (thanks! ), then you will probably have seen my post explaining all about this product and why I love it. I won’t go into as much detail here purely for that reason, but this moisturiser is fantastic for re-hydrating your skin quickly. It’s so fast and convenient to use and a little goes a very long way! 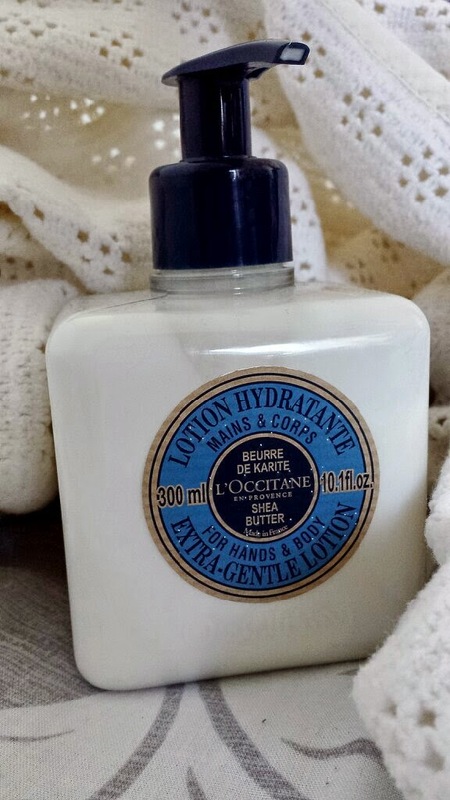 I use it as a hand lotion too and it leaves your hands feeling SO soft! For more info, check out my post all about it! You can buy this from L'Occitane for £17 for 300ml. I have recently become obsessed with tints by Benefit. I currently own miniature versions of Posie Tint and Cha Cha Tint that were both part of a set (which I can no longer see online, but it cost me £14.50 from Boots) that also included Sun Beam. I keep finding myself reaching for one or the other this spring for a quick pop of colour that lasts all day. When I say all day, I actually mean all day. So many products claim to last as long as these do, but I don’t often come across any that stick to that. If I apply one of these tints to my lips, it will still be there at the end of the day. Yes, even after eating and drinking! How perfect when you're rushed off your feet! I also use them on my cheeks for a beautiful flush of colour. 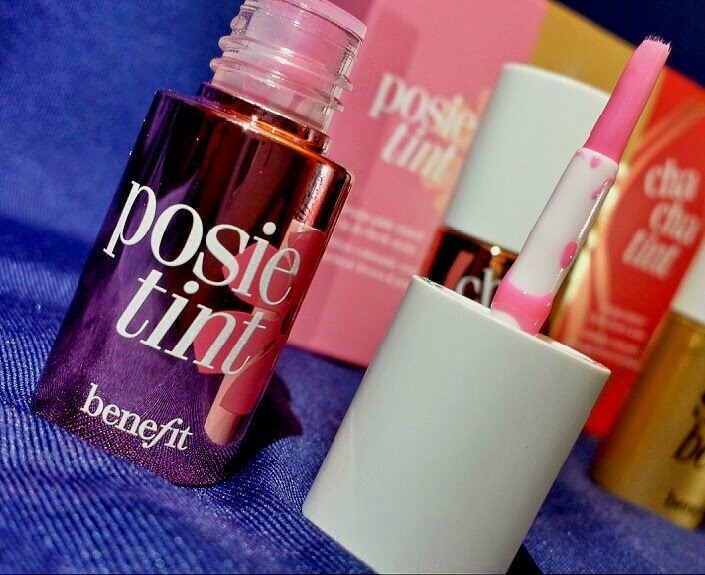 Posie Tint is also SO spring! I am also desperate to get my hands on Lolli Tint! I’m going to have to write a full post on these bad boys purely just to contain myself from going mad on this post when I have other products to mention. Buy from Boots, Debenhams or Benefit for £24.50 each. Advertised as a 3-in-1, this product thickens, energises and stylises. In other words, volume, texture and hold. With just a small amount of product you can transform your hair from drab to fab. I have fine hair and I used to use this back when I was around 12-13 years old. I stopped using it for years until last year when I remembered how I used to use it after my hairdresser back then recommended it. I never really understood these things properly back then so I just shrugged it off. Now I can’t be without it. I have tried all sorts of volume boosting mousses, blow-dry lotions and creams to no avail. They either make your hair greasy, limp after an hour or crispy. I was giving up all hope! Remembering this product and re-purchasing it after all this time was such a fantastic decision. It gives life to my rubbishly-flat hair and it holds it all day. It lasts ages as well. You can pick some of this up at most hairdressers, but I like buying mine from All Beauty or Amazon. At All Beauty it costs £9.20 but for orders under £15 you now need to pay P&P. Amazon sell it for £11.69 and can be received the next day if you have Prime membership. It's a case of working out where will be cheaper for you! 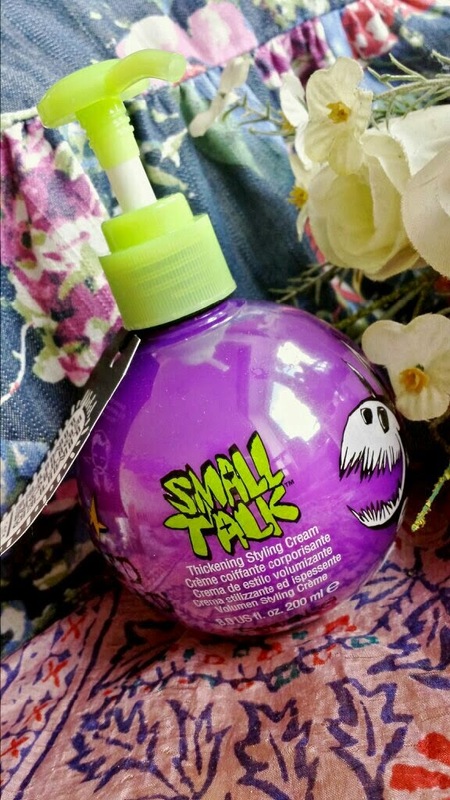 Another product that I have written a post about previously! You’re probably wondering why it’s on this list at all! It’s nail polish, how is it a multitasker? Well, if you have read the post that I wrote about this polish or you have knowledge of this product yourself then you will probably be aware of the 3-in-1 claim it comes with. This polish claims to be a base coat, colour and top coat all in one. I still use my trusty Seche Vite as a top coat, but I was very happy to see that on the nail that I didn’t use a base coat there was no staining. 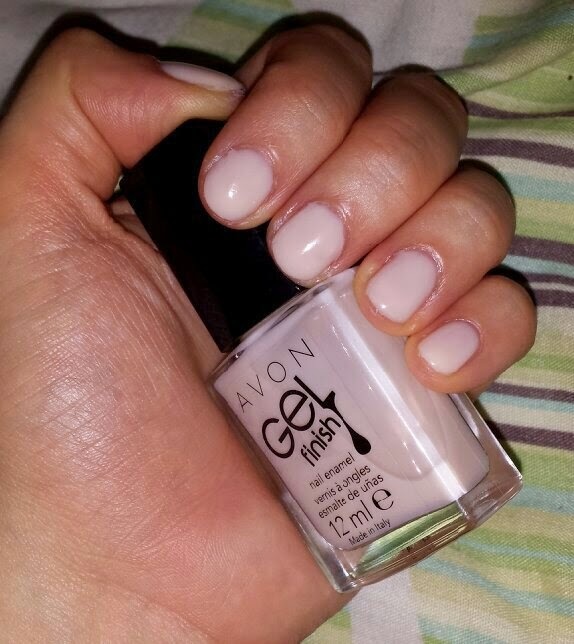 Along with this, the product applied smoothly without showing up any nail flaws. Even without a top coat it stood by it’s high-shine claim. And for those Instagram fans out there, you may have seen that my new shade of this polish has arrived! Keep your eyes peeled for a review soon. Avon currently have this on offer at £3.50 which is half price. Normal price is £7. What would you like to use this for? How about a toner? On shaving rash? Even nappy rash! Yes! A fantastic product for a mother looking for a multi-tasking gem. This can be used on a whole range of skin ailments. I use it post-shaving to help soothe my legs but I have also used it on my little man for nappy rash with great results! I mainly use this on my face in the summer for cooling purposes, but it also sets your makeup. Even my boyfriend uses this when he sees that I have some. My mum even steals it from me when she notices it around. Everyone wants a bit of the Avene Thermal Water Spray! You can pick it up at Boots for £3.50 for 50ml, £6.50 for 150ml or £10 for 300ml. For those of us with dry skin and for those who don't necessarily have dry skin; Aqueous cream is an amazing multitasker. Primarily advertised as a skin cleanser and moisturiser, it is advised for use mostly as a body wash. However, alongside this, I use this cream for shaving cream. I have super sensitive skin and I am prone to razor burn. It shows up so easily so I have to be extra careful! Aqueous cream is the only thing I can shave with that doesn't cause razor burn. Alongside that, it doubles up as my body wash and occasional moisturiser if I have super dry patches. If I start to run out of this stuff I start to panic. That's how much I love it! Grab some from Boots for £4.09. Essential oils are the most versatile items on this entire list. I have written about them in more detail on this blog already, but I’ll explain a little bit here too. 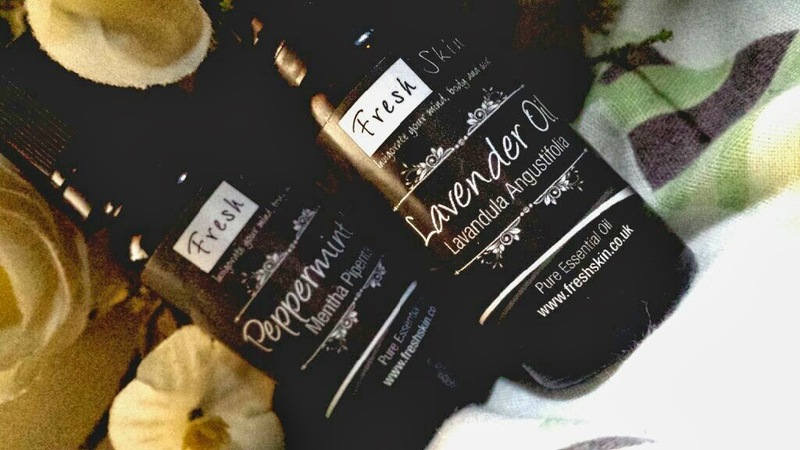 Essential oils are found in pretty much every beauty product that you own and there is a reason for that. The benefits of these oils range from clearing spots to providing you with soft, shiny hair. You can use them in baths, your own skin care products or even go as far as using them in your own home made house hold cleaners. Check out my previous post for more reasons why you need to have a collection of essential oils. Buy them from Fresh Skin. Prices vary. Why haven’t I listed a particular BB cream? Why just ‘BB cream?’ I have a reason for this. Different BB creams work for different people. I could recommend a cream and it could be totally unsuitable to you and vice versa. However, the multi-tasking benefits of a BB cream means that they all deserve a place on this list. It is the ultimate necessity for mums and busy women because it is your moisturiser, serum, foundation and concealer all in one. It may take some time to discover your perfect BB cream and I myself am still on that hunt, but the ones that I have used have all impressed me in different ways making them all good in their own right. Maybe that’s another reason that I can’t suggest just one cream - I haven’t found my favourite yet. On the other hand, just because I haven’t discovered my favourite one yet it doesn’t mean that I don’t appreciate the multi-tasking benefits of the ones that I have used, making them highly relevant in this post. If you have never used one before, I suggest wholeheartedly that you give one a go, especially now the summer is coming! It’s much lighter on your skin than foundation! If you're interested, I currently use the L'Oreal Skin Perfector BB cream which is usually £12.99 but is currently on offer to £8.66 at Boots. Now, where to start with this one? This arrived in my April 2014 Birchbox and at first, I admit, I wasn’t overly excited by it. That all changed after the first use. The first thing I used this for was a face cleanser. I used it after my normal face wash as I suffer from breakouts and I didn’t want to not use my Body Shop Tea Tree face wash which really helps to keep my skin clear, but WOW. Wow is all I can really say. I have made my mum and sister both use this for the same purpose and they were equally as impressed. This stuff gave me the softest skin that I think I have ever had. Having oily skin means that most of the time my skin just feels greasy, not soft and comfortable. I applied this balm to dry skin and gently massaged my face with it before wiping it off with cold water and a face cloth. My skin felt like it belonged to somebody else. Along with being used as a face cleanser, this balm can be used as a moisturiser, body cleanser, to hold down flyaway hair… pretty much whatever you want to use it for. It is made up of a whole range of essential oils, beeswax, butters and extracts, this balm is pure luxury. It also smells heavenly! The biggest bonus of this balm - a little really does go a very long way! 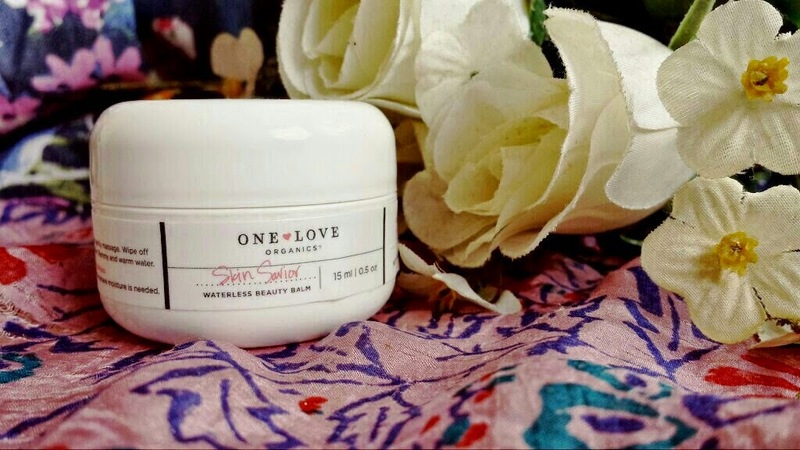 Pick it up from One Love Organics for £30 for 1.7oz. So what are your favourite multitaskers? Have you used any on this list and what did you think of them? Great post! 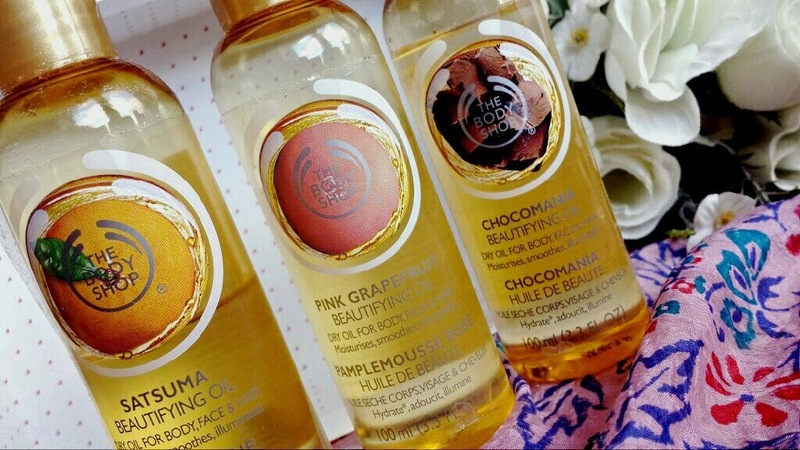 Very intrigued by the Body Shop oils, might get one (or two;)) soon. They are so worth it! If you buy just one I promise that you'll be back buying more of them after trying it! Haha! Loved reading this post, you have such a nice natural writing style! The Body Shop oils sound interesting, I'M obsessed with natural oils as moisturisers and hair treatments so interested to see what they are like! They are so amazingly versatile and they smell beautiful! They also add a whole new level to perfumes when they're used together. The Chocolate beautifying oil with The Body Shop's Vanilla body mist is gorgeous in the winter!